assuming power steering what side of steering wheel is best position ? I have mine mounted on the spoke at about a 12" diameter circle. With power steering it's da bomb. Without ps I agree with jmor. They are a hand wrecking hazard and I wouldn't own one. I don't think I would put one on anything that doesn't have power steering...except maybe a narrow front end. But I have one on my lawn mower (hydro steering), and on a hydro steer tractor at work. As stated before, it doesn't matter where you put it on a hydro steer tractor as your steering wheel seldom ends up in the same position twice. 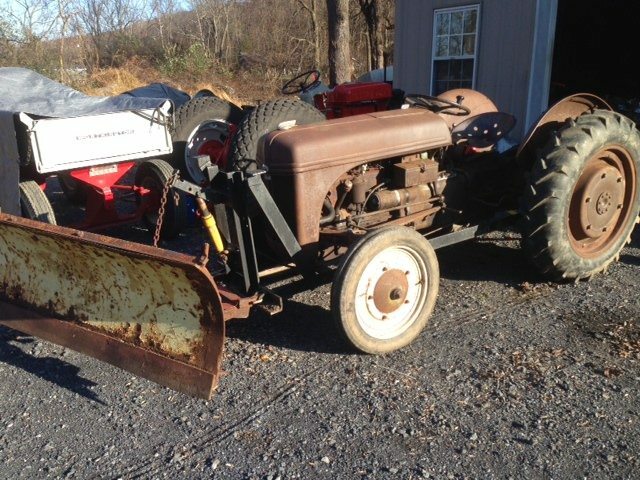 Depends on the tractor, some work better with a suicide knob that others, my Case 1190 for example has hydro steering but I took the suicide knob off as I didn't like it...wouldn't do without it on my lawn mower though. Quoting Removed, click Modern View to seeI don't know about it being "suicide", but it can render part of your hand screwed for life, but all should be allowed to make their own mistakes. Have fun boys! 10 o'clock is where I have mine. i have one on my WD, and skidding logs is 99% of what i do with that tractor. i haven't hurt myself with it yet. I put mine on the lower right of my wheel cause i have a bad left shoulder, it is a life saver. If these things were really that bad I don't think that factories would build them into the steering wheel. I think that it is on a Cat loader, that comes to mind. maybe on a Komatsu too, I will check tomorrow. I have one on a 971D. I have it lower right, and hold it with my left hand. It enables me to keep my arm in close to my side which is far easier on my arthritic shoulder than out away from my body. I've been using steering wheel knobs on tractors both with and without PS for decades. I agree with JMOR, best place is on the shelf. You sure don't want it on the steering-wheel if you are working in the woods. When skidding wood or in a rough field, I always keep all the fingers including the thumb on the outside of the wheel. I mount mine at 10:00. With hydrostatic PS, it makes no difference. I agree w/Kirk from those years growing up w/one hand on the spinner, the other on the 3 point lever ready for whatever happened w/the implement you were pulling! Usually mount mine on left hand side leaving right hand to operate throttle, drink my beer,pick my nose or wave to the neighbors. A brodie knob (alternative spelling brody knob) is a knob that attaches to the steering wheel of an automobile or other vehicle or equipment with a steering wheel. Other names for this knob include: suicide, necker, granny, knuckle buster, and wheel spinner. N�s don�t have power steering. I don�t know what a (SUICIDE KNOB) is. So I�m not sure what you�re asking? 60yrs ago we called em "suicide" knobs.